It's been a while since I gave solutions since I myself have been busy with my works. Anyway I managed time once in every three/four days to compose the answers and finally it's here - the complete explanation/solutions to official UCEED 2016 previous paper. 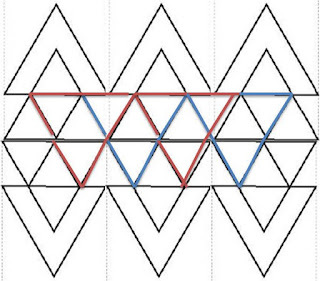 We know that a pyramid has a base and triangles connecting the base sides and a common point. Usually the base is square. 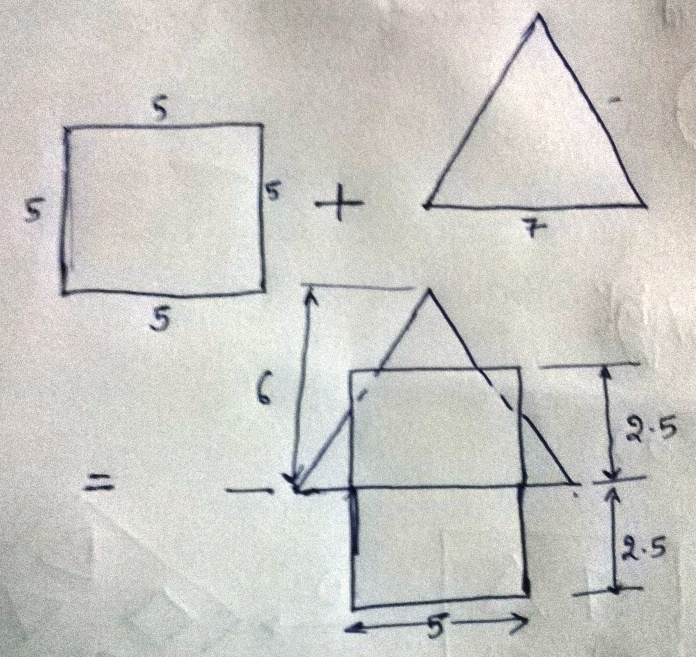 In the given question, pyramid base size (7cm) is greater than the size of the cube (5cm). So, some part of the pyramid will protrude out. Picture below shows the pre step of adding the shapes. 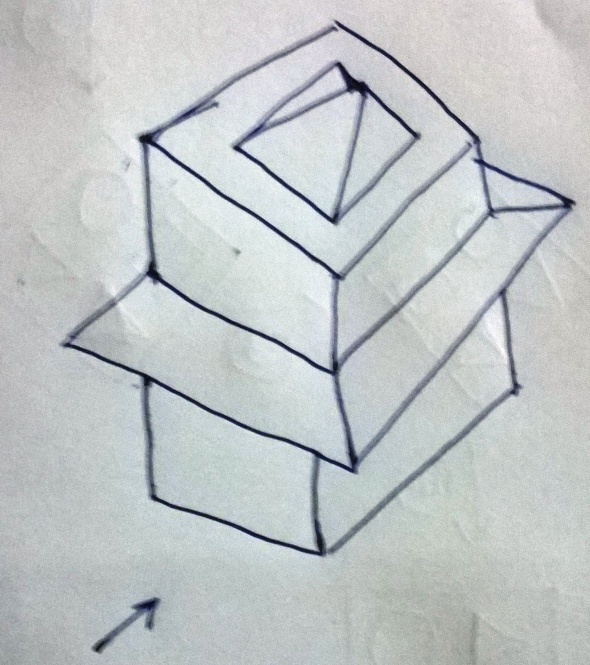 Below image shows the 3D view of the solid formed after joining. Sorry for the poor drawing, but hope you can visualize that. Note that the top portion is also a small sized pyramid shape. As can be seen the shape is in symmetry. 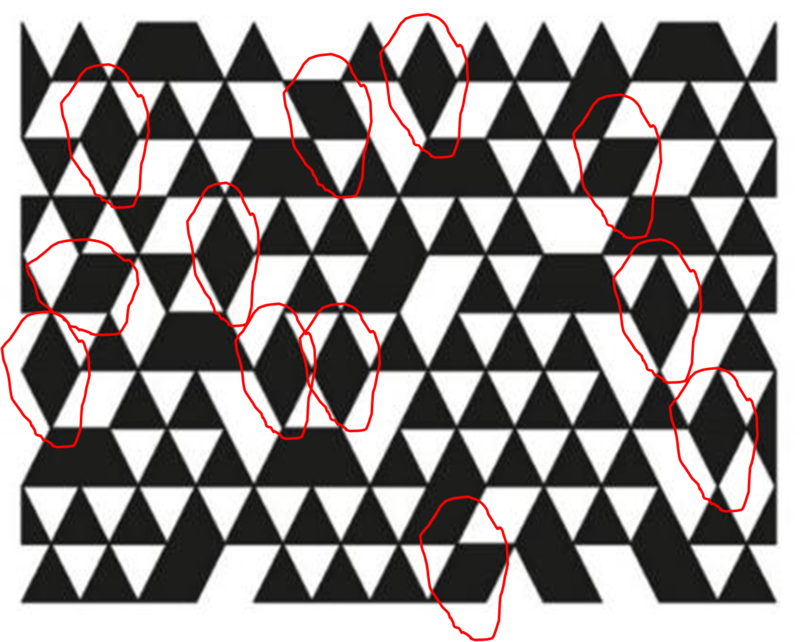 In the below image, I've marked the different symbols with the letter '1' in red. Couldn't spend much on this coz of time and this one is really tough, have been scratching my head on how to solve. Will check this again during free time and update about the way of solving this question. Below figure shows one possibility. We can have similar possibilities. Before cloning the shapes, we will count the no. of triangles so that we can just multiply the number of triangles after cloning by the number of clones. Below image shows the same image in two separate forms. 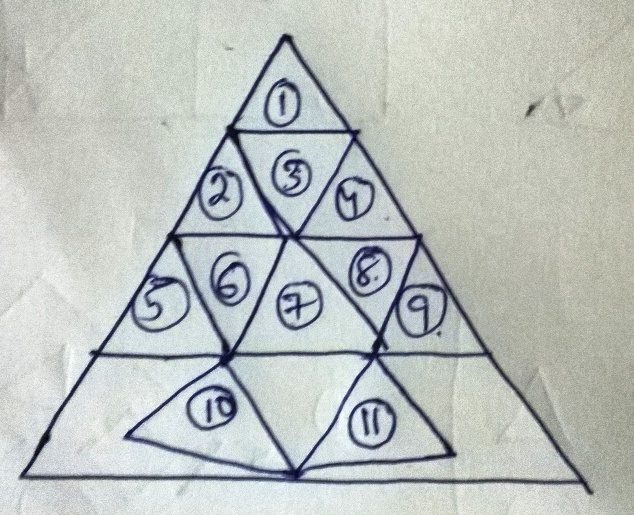 Number of triangles are 6. Now, since we are cloning to the left and then to the right, and finally the whole (3 patterns) to the bottom, we will have six such patterns. Now, after cloning, we can count the following 4 triangles as shown below. 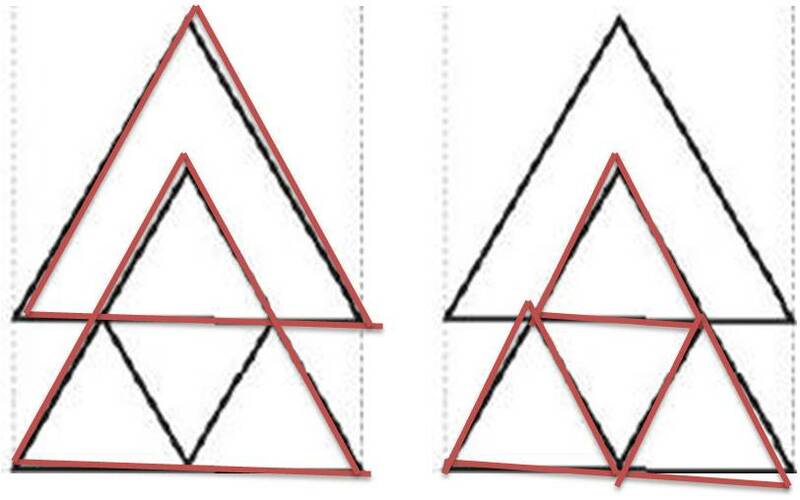 The following two images shows further number of triangles as 8. 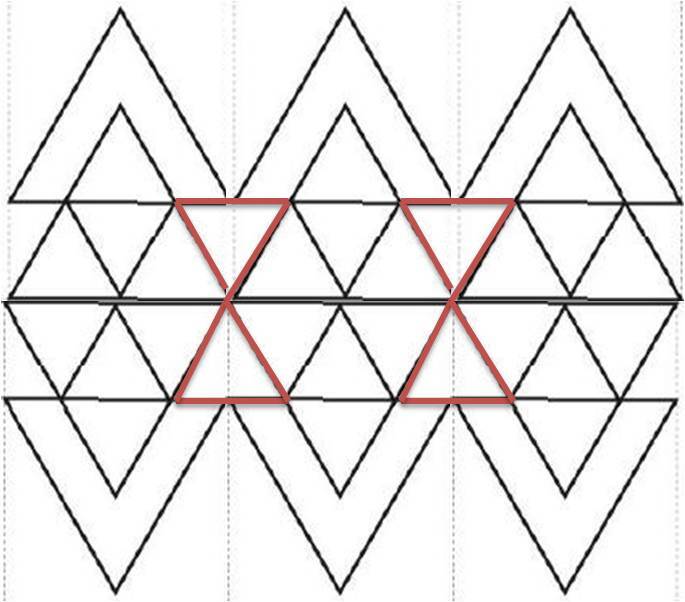 Finally, the below image shows 2 triangles formed. The problem can be solved as follows. 8 men and four women shook hands with same gender. So, it mean there are 4 groups of 2 men each, whom shook their hands with each other, totaling to 4 hand shook consisting of 8 men. Similarly since 4 women found that they shook with same gender, it mean there are 2 groups of 2 women each which counts to two hand shakes. Got it. Given, total hand shakes is 87, so the left (87-4-2 = 81) hand shakes has to be done by a group consisting of one men and one women each that is MW. Adding these 81W from the 81 groups to the 4 women earlier we get 85 women as total. For every 60 ticks of the minute hand, the hour hand would have ticked 5 times. Now, after the 12 o' clock, they will meet somewhere after an hour, i.e. when the hour hand is near to 1 hr and the minute hand also at the same location. That is, the minute hand had to travel an whole round (60 ticks) when the hour hand travels to 1'o clock. But still they haven't met. The minute hand has to travel further to 5 minutes, adding to a total ticks of 60+5 = 65 minutes. Similar question has been solved already in my solutions to previous papers. If it's just circles, then around a coin/circle, we can place 6 circles, but now the situation has spheres, so apart from this 6 spheres on the same horizontal plane, 3 spheres can be placed above and 3 spheres below. So, total 12 spheres. Hope you got it. If not, I can draw and explain you! so, it mean if we place one brick in the water, it will consume 3 cc of water apart from displacing the water. Now, the below picture shows one best possible arrangement. As can be seen, arrange two sheets in a row, such that 25 side is vertical and 21cm side is horizontal (shown as two sheets) in the left bottom. And also arrange three other sheets such that 25cm side is horizontal and 21cm side is vertical. Three of such sheets can be placed. Now consider the bottom left most sheet, similar sheets when placed vertical will occupy 4800/25 = 192 sheets. Most of you might get 21 as answer, but let me show the hidden tree branch which you might count as 2 instead of 3. This is the right most part of the given image. Instead of drawing the whole image, let me show the part given by them with illustration of what happens when we join sides. As can be seen, the semi circle at 1 will form a circle, similarly the triangle at 2 forms a rhombus. Similarly the cut at 3 forma a square. Neglecting the shapes at 1,2,3, let us count the number of shapes as 6. Since there are four such patterns. So, total number neglecting 1,2,3 is 6*4 = 24. Below I've identified the faces with glasses for your benefit. But, remember, during exam, you have the face questions on the computer and not on paper, so, you need to do this mentally. So, use your concentration for figuring out the required. I'm not pretty confident about this. But I tried my best to figure out. Below image shows my findings. Correct me if i'm wrong. 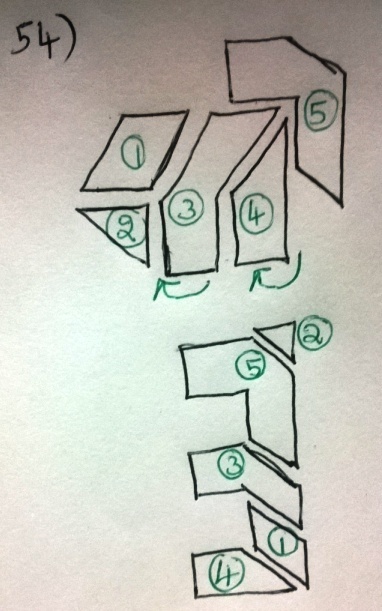 Unless there are sliding joint in the first three mechanisms, it cannot be folded. Mechanism in figure 4 is the standard four bar mechanism, and it can easily be folded. 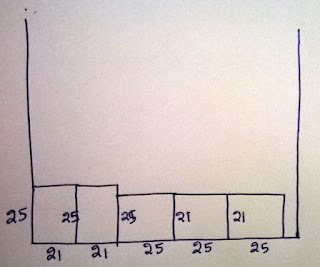 In figure one, curve is bulging at the top, it means more aged people are there compared to infants and teens. Second graph has steady rate for all age groups. 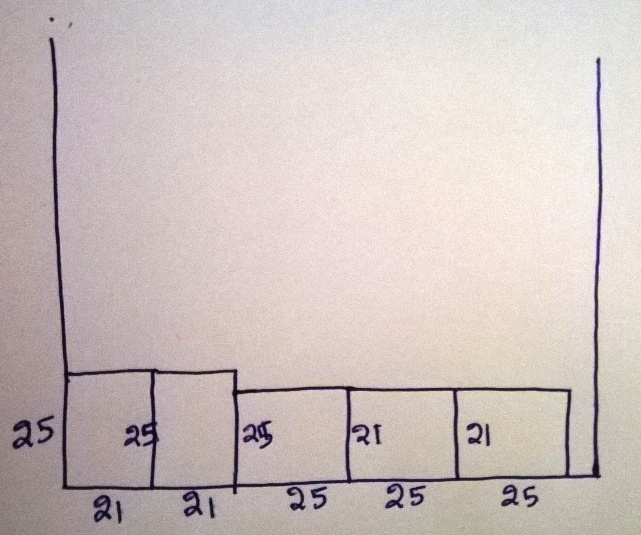 In graph 3, infants are more in no. than aged people. Remember that in developed nations, population of infants has been controlled, compared to adult and age groups or at least equal. So, all four options apply. The answer is simple. Find the number of alphabets and repetitions in it. 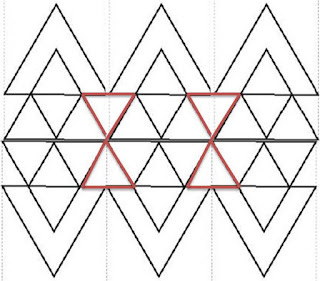 There are total 7 alphabets with two repeated (A is appearing twice). 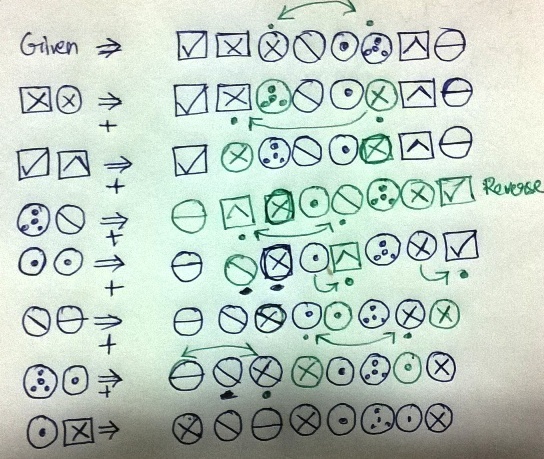 In the options check the pattern that has this feature - that is two repetitions and total 7 items. Option C has that feature by using colors. The questions seems to be tricky with no clue. But, the first and best check that one can do is check the number boxes in the five segments in each option, since they have mentioned that they should be continuous and have equal no. of families. Fortunately, only option D satisfies! Checking that with the above simple way, we get two options that satisfy it. I therefore discuss with you the actual procedure for solving this problem. 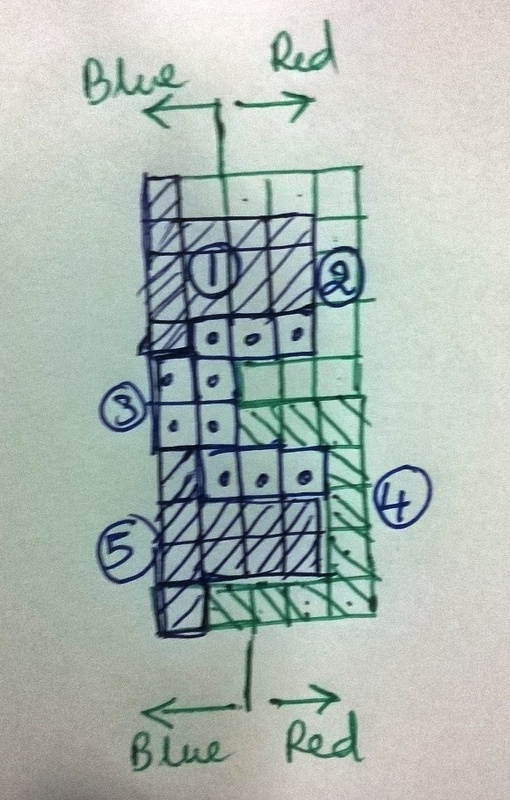 Considering the five patterns in option D, we try to arrange it such that the whole combination forms the rectangular grid shape as given in the actual picture, which when joined will be as shown below. As you can see, I've marked the separate parts with numbers from 1 to 5. I've also marked the parts which according to the ques are blue (to the left of section line) and red (to the right of the section line). 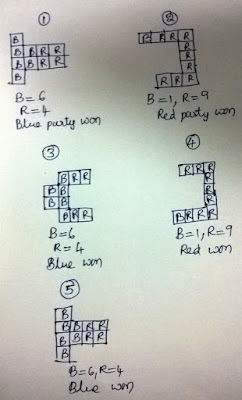 Now the next image shows my explanation, showing the parts sepearately and the count of Blue and red parties according to the above image division. So, overall, blue won the election in three divisions while red only in two, so that will be the answer, Now, I hope you can check for others too. Option A is the top view of the given image in the box. You don't have to check the whole lines initially, start with the bottom two squares formed by four different colors, observe the order in which they are arranged. 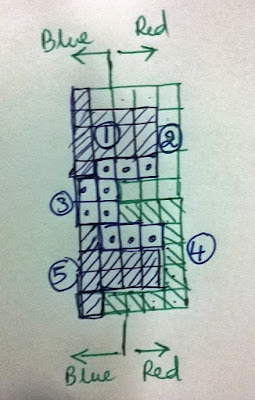 Like in the below image (left pattern in the box), one of the square base has been numbered as 1,2,3,4 for red, yellow, blue and green colors respectively. Observe similar arrangement for the other base square. Now, in the options, observe these 1,2,3,4 sequence for coincidence (for both the base squares). Once you screened the appropriate options, you can now check the triangles joining the base to the top vertex for the pattern. Note that option C is the bottom view of the given pattern n the box. So, all the color order are just reversed. It's bit difficult to explain this in paper. But the only clue I can give is, cheek for the tunnels which are either in the same row from top or a row adjacent to the water flowing row. Because, water will find way to flow in both cases. Other than the tunnel numbered 8 in front face (tunnel numbered 8 in the front face middle, 4th row from top), water will flow in all other holes. For more on how to solve this question, check the mental ability part of the resource page. All the options have same color, so let's forget about the color criteria given in the conditions. By careful observation, this can be solved. 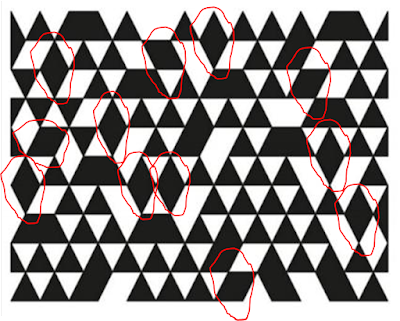 If you're not confident, then better draw the pattern by linking similar sides. It's obvious that the other shoe sole should be the mirror image of the given shoe. All the options might look similar but there's difference in the wave like lines at the c=middle of all the soles. Only option C is proper. Obviously it should rotate in the opposite direction as the rotation when the water is sprinkled through the nozzles, which will be in clockwise direction for the given shape of the sprinkler. It will not be sphere, since the question needs the portion that is common to all the four spheres. So, the sphere part is cut a bit to a shape something similar to C.
The first impression that I got after reading the question gave me a shock! was wondering whether something like hammer is used for any instrument that too musical ? then later realized that it's the kind of mechanism that they wanted. Hammering here they mean the technique of hitting the string rather than sliding (as in violin) or picking (like in guitar). I don't know whether there is any such mathematics existing to use parameters to construct a shape or not (I think there isn't any standard in math literature), but I do see some pattern from the given images. The values of R and r will give us an idea of how many sides the shape is having. Like R/r is the no. of sides of the shape. For the second image, R/r = 108/4 = 27, so there are 27 sides, all formed with circles. Now, 'c' might represent the amount of bulge of the circle used to construct the shape, in other words the curvature or radius of the circle used for constructing. As can be observed, when c i more, the intersection is more, as compared to when c is less. So, in the required shape, which ahd three sides, the best combination is R/r = 3 (24/8 in option) and since the shapes are bulges out, the value of c might be the least. So, option A fits. Obtained by following the procedure that they gave. 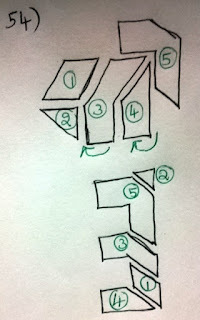 Below image shows the step by step change made for the given sequence. Green symbols (and arrows) indicate the change that has been made for the given pair of symbol. Solution is simple, but bit of observation is needed. As can be seen in the below picture, it's obvious that we don;t have to bother about circles as all the squares have two circles each. Now, observe the first and third numbered square in the below image. As can be seen. 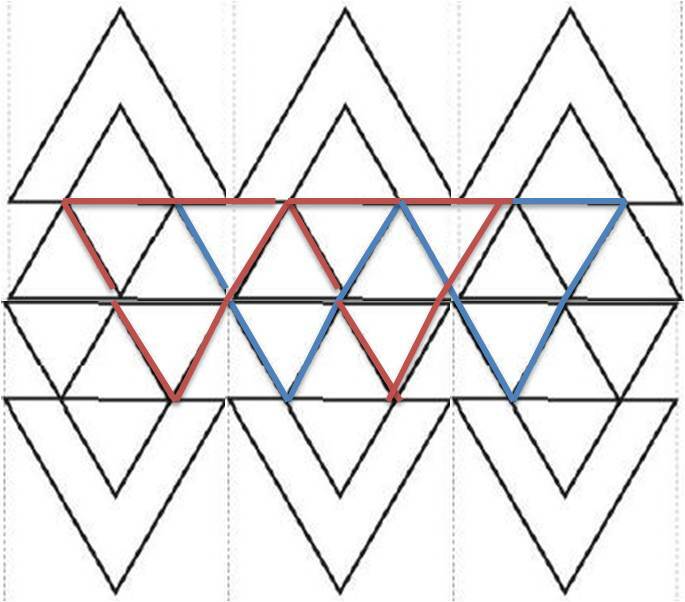 Shape A of 4 sides/peaks has been transformed to A' of three sides/peaks (with difference 1). 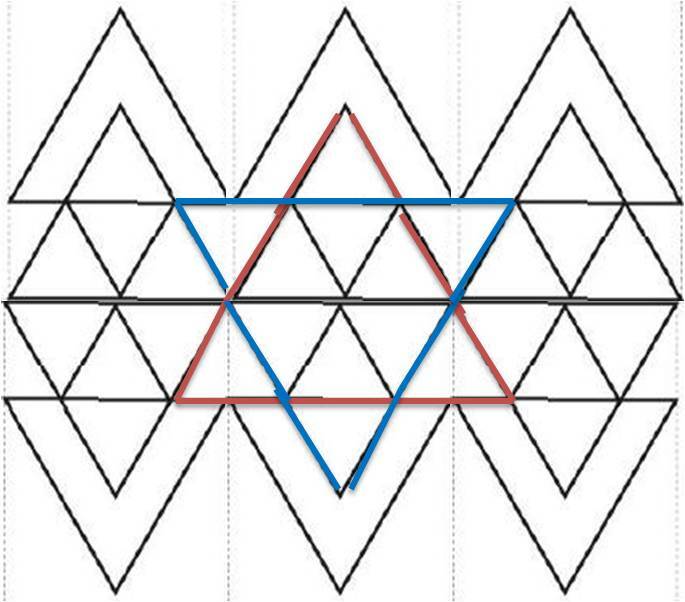 Similarly shape B of 9 sides/peaks has been transformed to shape B' of 10 sides (with difference 1). And note that A+B = 13, as well as A'+B' = 13. 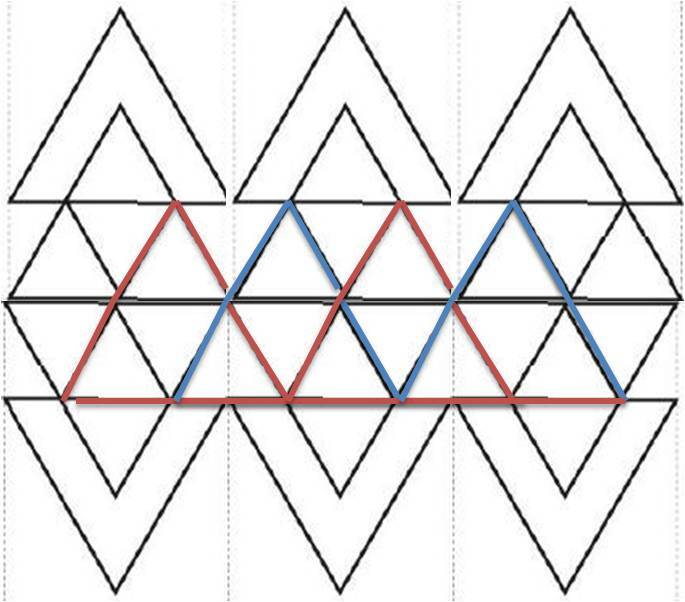 Keeping this pattern in mind, shapes in square numbered 2, viz. C and D (C+D = 13 sides) should be transformed to shapes C' and D', such that C'+D' = 13, and difference should only be 1 between them, the possible combinations as are as shown in image, i.e C' can be either 6 or 5, and D' can be either 7 or 8. Now, check the options which best matches this pattern. Option D suits I guess. 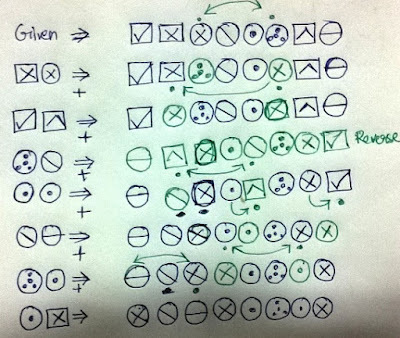 It's really tough (at least for me) to exactly figure out the pattern. However, as always, we can derive some pattern out of given sequence. So, here is what I observed. As can be seen in the below image, wherever circles are appearing in the main image (highlighted in red color), then we can see a dark water drop symbol accompanying it (highlighted in blue color). 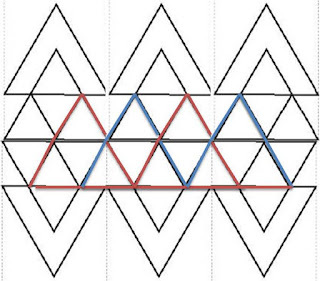 Similarly when there is unbound lines (lines that are not closed to form a shape) as highlighted in the below image, we see the shape of two zigzag short lines accompanying that as highlighted in blue color. Now, in Fig.1. since we can see both circles as well as lines (not rectangles), we can assume that the two symbols (water drop and zigzag) must also exist. So, option B seems to be correct. Although this might not be a correct interpretation, but this is how I solve. Below image shows the construction. I've numbered the parts for your convenience. Note that the parts numbered 3 and 4 has to be rotated 90 degree clockwise for the final assembly and the final assembly is a flipped E. We can just flip it to get the actual shape as in Fig.1. In downward to-and-fro position, we tend to bend bit and try to push and pull the hack saw. So, keeping the handle either horizontally or vertically will only cause strain to hands and will not function well as there will be bending possibly between every to-and-fro motion . Posture in option D will separate the blade frame from the material in downward f=direction (because of handle direction being 45 degree outer), which is one inefficient way. Keeping handle as in option B works fine, and will always ensure that the tool (hack saw blade) is in contact with the material all the time. Tough to explain this in paper, but what you can do is speak yourself "welcome to uceed" very slowly and observe how your mouth is moving. When the bubble is followed by a circled dots at bottom as shown in the below picture, it indicates thinking process. 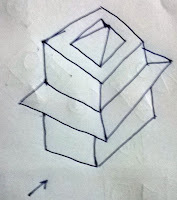 When instead you see box, then it is just explanation of the situation (past or present or future) which is neither been spoken by anyone nor indicates thinking process but is just a narration of the situation. Below image should give you an idea. Below image shows the difference. Note that difference numbered 2 and 3 indicates the color change. I think, the options that they showed are wrong! They showed like the front two legs will go crossed while running which I suspect whill not happen, and the back hind legs will not be on the same line as far as I observed. two reflections one each on the mirror surface and one reflection at the intersection of the two mirrors. If the ball was placed in between two parallel mirrors, then there would be infinity reflections! COG lies at the mid way of the mass and not at the mid if the object. So, the top surface of the T shape contributes more weight and hence the COG should be somewhere around the border of the two surface intersections, but placed little distance away from the horizontal top T surface as shown in option D.
The Kyoto Protocol is an international treaty which extends the 1992 United Nations Framework Convention on Climate Change (UNFCCC) that commits State Parties to reduce greenhouse gases emissions, based on the premise that (a) global warming exists and (b) man-made CO2 emissions have caused it. The Ramsar Convention 1971 is an international treaty for the conservation and sustainable use of wetlands. The Vienna Convention 1981 on the Law of Treaties (VCLT) is a treaty concerning the international law on treaties between states. Pellagra is a vitamin deficiency disease most frequently caused by a chronic lack of niacin (vitamin B3 or synonym: vitamin PP (from: Pellagra Preventing factor)) in the diet. It can be caused by decreased intake of niacin or tryptophan, and possibly by excessive intake of leucine. It's clearly identifiable by observation. I spent 15 min but couldn't solve, probably have to spend more time and figure it out. Really a tough one, with no pattern ? Will update if I solve. Ya it is very hard to solve. Hats off to the question maker. 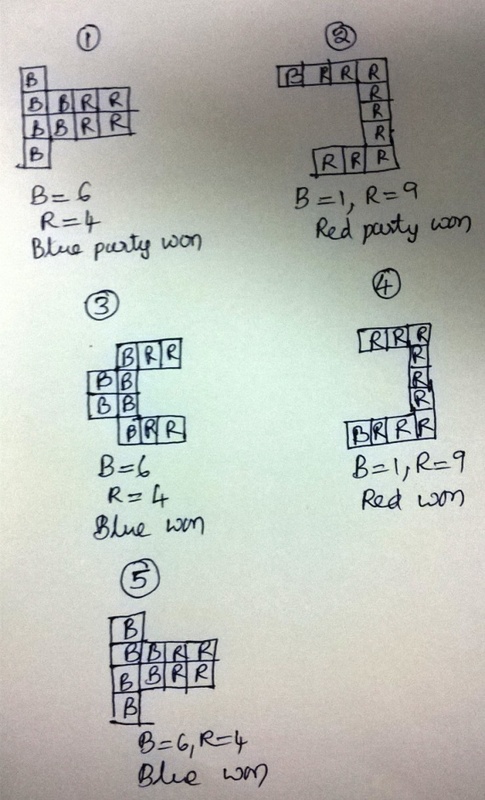 I did come up with a logic to solve this. Hi Bhanuchander, My daughter have worked out solution for Ques number 3 of Uceed 2016. Ist row + 3rd row - 2nd row = 4th row. eg: 6849+4675-8659 = 2865. Similarly the last row if you apply the same rule the answer is 2nd row + 4th row - first row = 3rd row. ie., 4492+6844-3284 = '8'052. Hence answer is 8. That's really great of her sir. Thank you sharing with everyone. Awesome solution by Murali Bharatwaj, thank you for this sir and thank for your daughter too. I think in that ques abt counting glasses.. u answered 26.. and the red squares are 27.. bt i saw some glasses on there head.. it should b concedard or not..?? red rectangles in the picture are 26 in no. and not 27! pls count again n since the ques asked "how many are wearing" we should be bothered about those wearing the glass and not others. SIR NOT ABLE TO VISUALIZE THE DRAWING. Pl don't look at their size that I drew, look at the dimensions (length) I mentioned, I have drawn that by hand without minding the actual size, but as I showed in the picture above, it looks like that. sorry sir , i am not very use to with internet so by mistake comment was deleted . so i wanna ask that like in question 31....we must know all rivers and sort of things like mountains and all ? 71st q "one reflection at the intersection of the two mirrors"??? 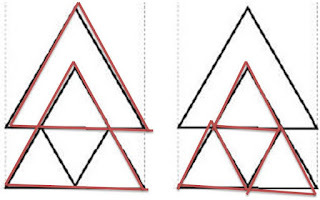 If we divide the length of one small triangle with 11.2 we get an approximate ans of 4 and so we can have 4 rows of trianles with 1,3,5 & 7 triangles resp. 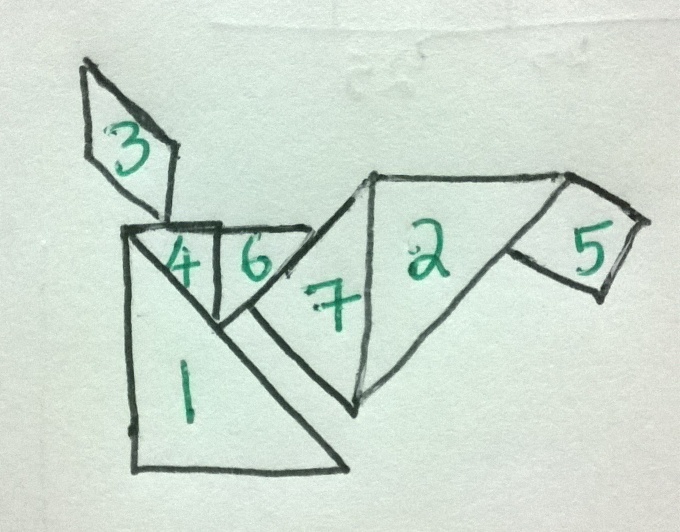 is the leftiver row height at the bottom as shown in the above and how can we fit a equilateral triangle of size 3 perfectly ? 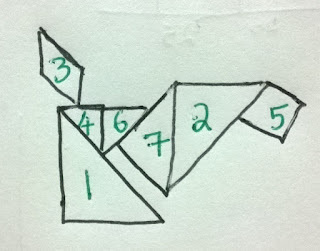 unless we tilt it and try to fix, which if we do, would allow us to fit only 2 triangles as shown in the pic. 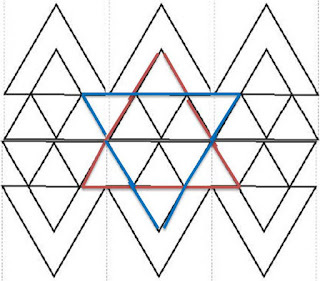 So the end row cannot accommodate 7 triangles but instead only 2 triangles. The length of an equilateral triangle with side 3 cm would be approx 2.6 by pythagoras theorem right? N when we divide 11.2 by 2.6 we get an ans slightly more than 4 which means we would have 4 rows. Yeah, 3cm is the side and not the height of the equilateral triangle, as I thought. I couldn't check that. So, you are right in saying that 3cm sided equilateral triangle will be approx. 2.6cm. Now the above figure of 9.7 should justify u why only 11 is possible. 9.7/2.6 = 3.7 (approx) and so we could only fit 3 row of triangles with the fourth row having only two triangles again. Probably you missed the length 11.2 part thinking that as height rather than side. I know it's not ur mistake as the ques should have been clear. Thanks for bringing this up and finding the mistake. Q 4 solution is wrong , only 9 are possible. Becoz if u turn the triangle in any other alignment the height will be greater than the height of the equilateral triangle (ie 2.6 cm ) . I also tried it practically. yes, If we tilt the triangles, height should increase. I think I've to recheck that in depth. no the answer is 11...check d official answer key !! 65. Other difference is dot on her nose. qNo.. 19. Please explain. It. on googling, i found out that Ray Bradbury's most famous novel is "Fahrenheit 451". The asnwer has been given in a link in the first comment by Sourav, you can chk that. Hello sir , could you please clear how 52nd one is solved ? Hi. Can you please elaborate on the 35 question about the tyre mark. question 2 there are 27 symbols sir, if you see closely 3rd box in 3rd row and 3rd box in 4th row are two different symbols. I think both r same. 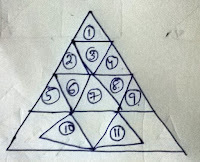 and in q4 if we calcute area of larger triangle and divide it by area of smaller triangle then the answer comes out to be 12 triangles. Q 80. can you describe elaborately. i think it is meta. bhanu bhaiya in 38th ques. i think you missed to check option B. It also satisfies acc. to your explanation. it is also continuous and have equal no. of families. i have a diff. logic , but still please justify if possible. It's explained above with pictures bro. You can check now for the answer. Hey could You please suggest some sites or books from where I can get the required GK? It's already available in UCEED resource page, chk there. How are we supposed to solve it in exam hours if we even can't solve in with two days.. It's all about math apti and visualizing. If u have some prior knowledge, then u will feel it as easy. Try ur best till the last day of ur practice and in exam, if u r not able to answer them i nshort time, JUST IGNORE THEM! coz it's better to spend time for some answerable ques rather than pondering on something which eats ur time leaving a 50-50 chance of being correct. So, just ignore those type of ques during exam, but make sure that u try ur best solving n understandung them until ur last day of prep! sir i couldn't understand question number 9.WHY DID YOU DO 5*5/60?. the minute hand rotates 360° in 60 minutes. so it will rotate 6° in one minute. now let us assume they meet after 't' minutes. so rotation by hour hand = 0.5t and by minute hand = 6t. it is easy to understand that the minute hand would complete one revolution by the time the hour hand rotates 30°. so they will meet sometime after an hour. let me know if you find any errors in my method. I don't think than paper and pen is provided in uceed exam as its totally online. How are we supposed to do such tedious calculations!??????? Even if it's online, I think u will be provided with a scribble pad by the invigilators, n u have to carry pens/pencils. I'm getting 12 again, I counted the four sided rhombus, can u tell how u got > 12 ? Here it is, please correct me if i'm wrong. I've updated my sol. image above for reference. 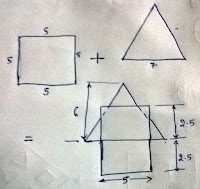 what I understood from ur sol is u r considering trapezium shapes too, apart from diamond shapes (rhombus) while u were asked to count black shapes in diamond form, so, although diamond shape assumes as a part of the trapezium shape, still they are doesn't in parts and represent a single shape. They shouldn't be counted. and lastly i have been pondering over q.59 from past one hour and i think the answer should be blue or brown goggles as black and red would not be suitable for night vision.what's your opinion? Even I was not sure, that's y I didn't give correct option above. Ya I agree with ur opinion, probably red could also be considered. ohh,yes you're right. i just asked an air officer . the answer is ombre(red). will chk when i get time, but logic is same, it's just unwrapping in an order minding the pattern in option, probably u can give it a shot. Sir, shouldn't the question 49 have the answer as 360? in question number 16 what about the right side top corner fellow isnt he wearing spectacles? Sir are there any easy tricks for these for these diagrmatic questions? yes, they r available, chk the resource pg of uceed or ceed, u will find the links. sir i didnt get you resource page in the sense....? 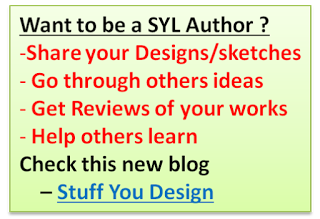 pls explore the blog for further topics since i cannot spend time sharing individual links with everyone. SIR SAME QUESTION NO-9. I ALSO DID NOT UNDERSTAND.WHY 65*(25/60) ? ?PLEASE GIVE THE EXPLANATION FOR 25/60. Ok, guys, I've rewritten the answer for Q9, which I hope will be clear. Hope u r doubts will get cleared. THANK YOU VERY MUCH SIR FOR YOUR REPLY.SIR I WANTED TO KNOW WHAT IS MECHANICAL ABILITY? ?.IS IT ABOUT THE PULLEY,GEAR RATIO ETC.ACTUALLY I WANTED TO KNOW THE TOPICS THAT COMES UNDER MECHANICAL ABILITY. Sir can you explain Q.55, i think the answer can be option D too and here is how i got that.Moving from top to bottom pieces,piece 1 and 2 can be combined to make first part of the letter E,then 3rd part can be rotated 90degree to make the centre line of E.And pieces 4aand5 can be flipped to the left and merged to form the lower half. Please draw and explain for question no 10.
whether aadhar id card of me is enough for the id proof ..or i need to submit any thing extra? In ques 18 i think that. .. worried and demarcate are of same fonts..... Pls hell me... With such ques..
they're tilted so that they can be placed in the available space, check the earlier comments (at the beginning) for further discussion already happened in this page. hello sir...i can't understand last question and similar font question which was asked in 2015..could you please help? Sir, can you please explain Q.28 and how did we observe such a pattern???? In Q.no 16 you have circled a person who is not seeing through the spectaclesso he is not wearing them....also on the right top corner there is a person who is wearing spectacles but you have not circled him. In the 80th question option D looks similar to the word. can you explain why it is B ? then the following words are of same font..
Plz sir help me understand y not option C in q28? Hello sir I want to thank you for the solutions and papers you post for people like me preparing for different papers.. So thank you. ☺️ sir it would be kind if you could solve ceed 2006 paper to 2017's paper also.. Thank you waiting for the solutions..
they r already available in this blog, check the solutions or CEED page. Plz sir help me in last question ( Q 80)? First find the minimum length of the chord (perpendicularbto the centre) which is 24.18, then the maximum length that can pass through the point which is the diameter itself (34). Hence the lengths of chords are 25,26,27,28,29,30,31,32,33,34. In q74 O is not in the nne of j. It is contradicting with the answer key. Please help! Ans no. 4 is definitely wrong coz I have tried a lot and failed to mention 11 triangles in the figure. Plz check it out and give the correct way of doing it. Sir can you please explain the answer of question 28...please! im also having the same doubt . hello sir!My name is srujan. Thanq for these solutions. Q.18 ANSWER IS 11. U MISSED THE WORD "greetings". thanq bhanu sir for these solutions! my name is srujan. Q.18 ANSWER IS 11. YOU MISSED THE WORD "greetings". helllooooo? anybody there. bhanu sir pls respond.my exam is tomorrow. Sir,please respond my exam is tomorrow. I didn't get question no. 41. Please explain. 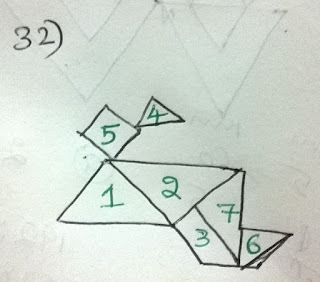 In question 4, i am able to have 9 equilateral triangles only. thanks a lot sir .u helped a lot and the answer for 66 is A .just read carefully which pattern represent which foot print .its very easy ,they have just twisted the options to check our attention .and just see how a dog walks .